Connecticut waterways are home to more than 5,000 dams, many of which no longer provide economic benefit and have fallen into disrepair. These derelict structures pose flood risks to nearby communities and keep migratory fish from reaching their native spawning grounds, disrupting local ecosystems and the Long Island Sound food chain. Removing outdated dams can resolve practical concerns like landowner liability, while improving water quality and restoring fragmented ecosystems. Since 2015, Save the Sound’s Green Projects team has removed dams on the West River in New Haven, Whitford Brook in Mystic, and the Quinnipiac River in Meriden and Southington, freeing over 23 river miles for migratory fish to swim upstream and safely spawn. 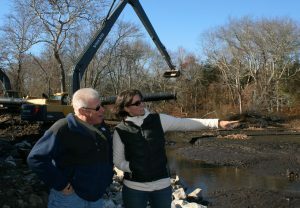 Where dam removal isn’t possible or other obstacles block fish passage, the team improves migration by building fishways and retrofiting culverts, like the Bride Brook culvert at Rocky Neck State Park and on the Noroton River on the Stamford-Darien border. See these projects and others in action on our Videos page. It’s partnerships that make this possible. 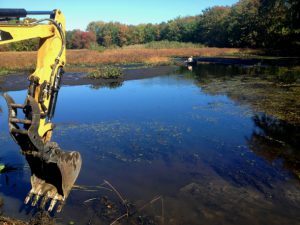 By working closely with federal, state, and municipal officials, public and private community organizations, local engineering and building companies, landowners, and concerned citizens, we restore river access for alewife, blueback herring, eel, and other migrating fish. And the work doesn’t stop there. 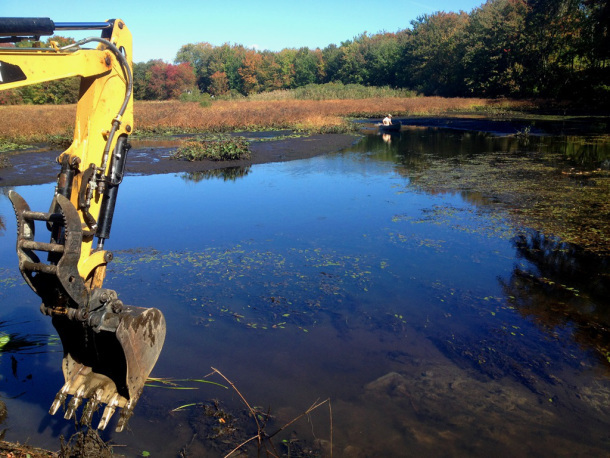 Save the Sound takes a comprehensive approach to dam removal by restoring natural habitat surrounding the river that offers critical shelter and feeding areas for fish and other animals. 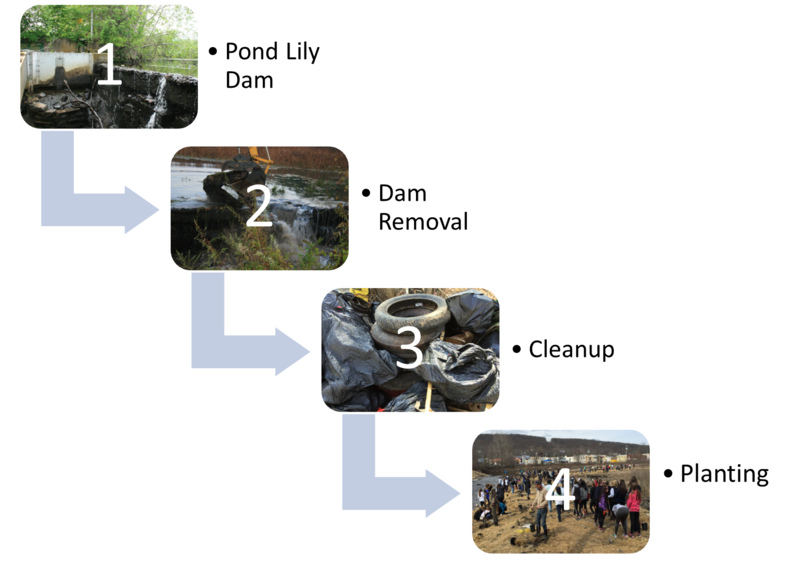 Community events like cleanups, streamwalks, and plantings ensure the river’s neighbors understand the changes in their backyards and get a first-hand look at restoration in action. Watch a video of a restoration planting and click here to learn how you can become a river restoration volunteer!